Scheduling software can help you get paid faster and on time with features like no-show protection. 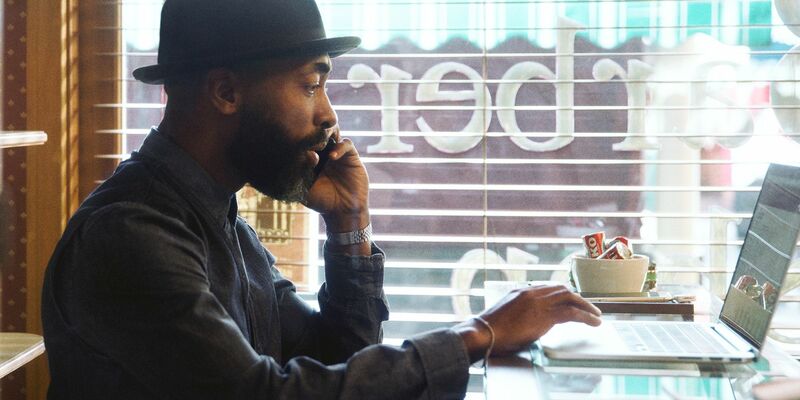 Here’s how to book more business with online scheduling software. If you own a salon, you have an appointments calendar to manage. And it’s not as easy as just slotting things in the calendar. Keeping your appointments schedule full—and running smoothly—requires consistent attention and management. Luckily, there are a number of tools and scheduling strategies that can make management easier. In this guide, we walk through what those are and provide a playbook for keeping your schedule booked (and the sales flowing in). 1. Why use online scheduling software? Online scheduling software helps you streamline appointments management—and can get you more clients. 2. How do you set appointments? With scheduling software, clients can choose available appointment slots on your calendar that work for them. Then you can accept and schedule the appointment straight from the software. 3. How do you reduce no-show appointments? 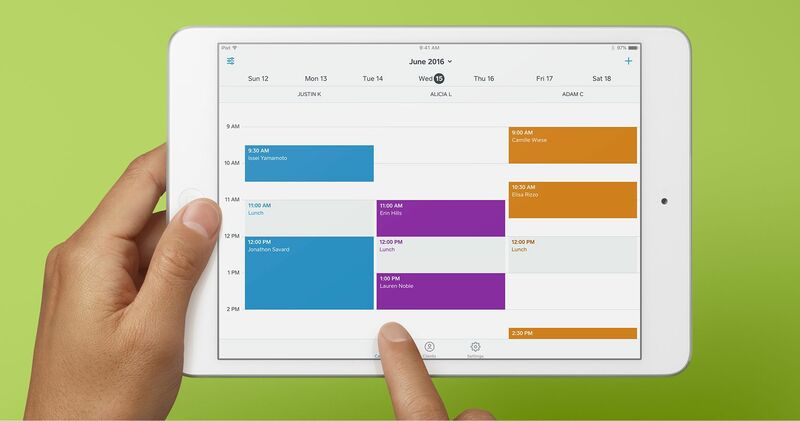 Square’s scheduling software helps immensely with reducing no-show appointments. Important no-show protection features include the ability to require clients to enter their credit card at the time of booking or prepay for their appointment. 4. How do you increase appointments? Increasing appointments requires the right marketing strategy. Specifically, nurturing your online presence through social media, email marketing, reviews sites, and your website can help you increase appointments. Book appointments, accept payments, and attract clients. Do you spend hours each week playing phone tag with clients trying to schedule their appointments? Do you ever get frustrated trying to decipher illegible handwriting in your pen-and-paper appointments book before meeting with a client? Have you ever had a client’s services mistakenly penciled in on your pen-and-paper appointments book and wished there was a better way? An online appointments book can help alleviate all of these pain points. But in addition to cutting down on confusion and administrative time, there are other key benefits to using an appointments book app or software. Below, we outline how to use scheduling software to keep your schedule full and streamline its management. Online scheduling software cuts down on administrative time and offers a better customer experience. Convenience ranks up there as one of the most important factors in fostering a positive customer experience. And in this digital age, the ability for people to take care of their to-do lists (like booking a haircut) online is of the utmost importance. Not offering a way to book online makes for a cumbersome process for your clients—and one that’s often riddled with an annoying game of phone tag. With scheduling software like Square Appointments, you can create an online booking site where customers can schedule a salon appointment with you whenever is most convenient for them. Think of it like a receptionist—except one you don’t have to pay by the hour and who’s available 24/7. You can even invite your clients to book appointments with you online by emailing them a link to your salon booking site. That way, if they don’t have time to book their next visit immediately following their appointment, they can find a slot later that works for them. You should add your online appointments calendar to your website, which is easy to do with Square Appointments. All you have to do is add a simple snippet of HTML code directly to your website. Having your appointments calendar in a visible, accessible place on your website makes it quick and easy for clients to book. This is especially true for new clients, who aren’t as likely to cold call your business to book an appointment. Square Appointments is also optimized for mobile, meaning clients can book directly with you from their phone when they’re on the go. This is an important benefit—we’ve seen that the majority of clients book appointments this way. Not only is scheduling software more convenient for your clients, it’s also more streamlined for you. Implementing appointments software and an appointments app means you don’t have to be at your salon to check your availability. The ability to check your schedule from anywhere makes juggling your schedule less frenzied—and saves you a ton of time. The Square Appointments app gives you all the information you need to run your business right at your fingertips. You can set up and edit your appointments calendar from anywhere and accept appointments automatically or manually as clients book them online. You can also complete payments everywhere—the app allows you to check clients out directly on your phone or iPad through the Square Register app. 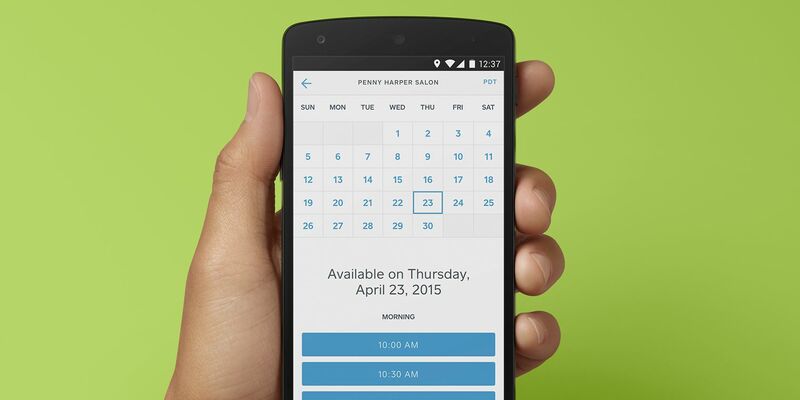 An appointments booking app can save you hours a week—which means you can see more clients. Having everything in one centralized place that you and your employees can access from anywhere streamlines your operations. In fact, it could save you hours a week. Before using Square Appointments, Camille Libao of Glow & Go Lashes was spending 30 to 45 minutes a day just managing her calendar at her desk. Now her clients can book their own appointments through her website, which integrates with her personalized Appointments page. Once Camille confirms the appointment, her clients receive automated text and email notifications and reminders so she doesn’t have to follow up manually. With that time back, she sees a whopping 10 additional clients every month. We see this trend across all sellers who use Square’s online booking software. Square Appointments sellers who use software for scheduling book more than twice as many appointments as Square Appointments sellers who don’t use it. That’s a lot more sales. Square Appointments has no-show protection baked right into the software. That means you can require clients to enter their credit card at the time they book their appointment with you online. You can also elect to apply a fee if someone misses an appointment or cancels at the last minute. Businesses using Square Appointments have found that merely instituting a policy reduces no-shows. The simple act of entering card information is often enough to keep customers from missing their appointments. Read more ways to cut down on no-show appointments. Square Appointments’ Client Prepayments feature gives you the ability to require people to prepay at the time they book online—which makes them a lot more likely to show up. And beyond helping you cut down on no-shows, Client Prepayments has two more key benefits. First, it helps with cash flow. If you need to purchase supplies or materials in advance of your service, requiring clients to pay up front means you don’t have to fund those purchases out of pocket. Second, prepayment makes for a much more seamless customer experience. If clients have already paid, they can simply enjoy your services during their appointment. Cut down on no-show appointments with client prepayments in your scheduling software. Things happen, and sometimes, it’s you who’s running late or needs to reschedule. Rather than calling your clients to explain (more phone tag), you can communicate any schedule changes right from your appointments booking software. Square Appointments has a Client Notifications feature that lets you send personalized communication to alert customers of any changes to their appointment. You can select how you want to notify people, whether it’s via text, email, or both. You can add a personal message for the client, too, a small touch that goes a long way. “So sorry, running 20 minutes late, but we have wine!” lands a lot better than a stiff message that looks like it’s coming from an automated system. Integrating online scheduling software and adding it to your website is a great first step toward filling up your appointments schedule. But beyond that, there are several things you can do to bring in new clients—and keep your regulars coming back. Straighten up your website so that it looks as visually appealing and professional as possible. That means including details about your business, your logo, and photos of yourself and your staff. And make sure to clearly outline all the services you provide so customers can make an informed choice when booking. If you’re just getting started, leverage tools like the “Fake It Filter” to make your calendar appear a little busy. That way, prospective clients can feel more confident that this isn’t your first rodeo. It’s crucial to consistently monitor social reviews sites like Yelp to keep a pulse on your business’s online reputation. And it’s equally crucial to respond. Make sure you’re giving attention to both the positive and negative comments, responding to each and every one. If you happen to get a subpar review, always lead by thanking the customer for his or her business and feedback, and then stay positive in the rest of your response. Steer clear of excuses and instead be open and honest about how you’re going to correct things going forward. That way, if prospective customers look at your Yelp review and see a flag, they know you’re addressing the issue. Keep in mind that feedback can also come in a more private forum. With Square Feedback, people can comment about their experience from within their digital receipt and choose whether or not they’d like a response from you. Make sure to read each of these carefully and, if you’re able, respond with a personalized message. Maintaining a good relationship and connection with your clients makes them more likely to come back. 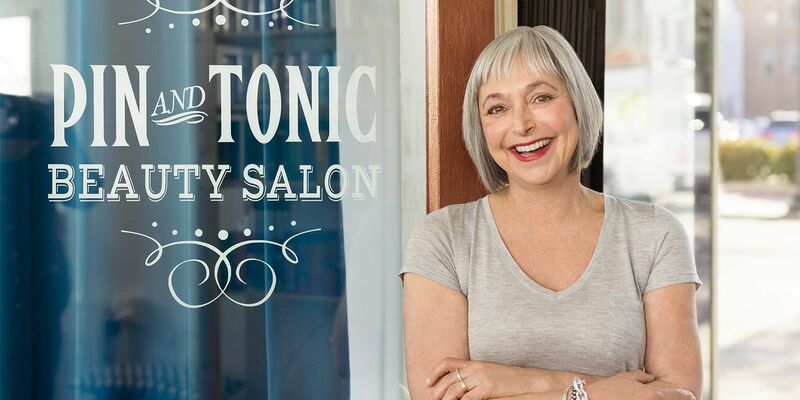 Building a strong social following for your salon helps more people discover you—and establishes your business as an expert in the space. For an image-driven industry like beauty, photos say more than words ever could. Focus your social media efforts on the photo-heavy platforms like Facebook, Pinterest, and Instagram. Get on the hashtag bandwagon and do regular posts under things like #MakeoverMonday to show off before-and-after photos of clients. Throwback Thursday (#tbt) and Flashback Friday (#fbf) are great for recapping some of your salon’s best looks for the week. Social media is also a great place to keep tabs on what customers are saying about you. If someone mentions you in a social post, respond in a timely manner to let them know you’re listening. Market to repeat clients—they spend roughly 67% more than first-time customers. Stay top of mind with your clients by sending targeted email with Square’s email marketing tools. The software (which allows you to collect customer information right at your register) automatically sorts your lists by loyal, casual, or lapsed. So you could let your regular clients know about a new service you’re offering, for example, or offer an incentive to those you haven’t seen in a while, like a free treatment if they book a service within a specified time window. A study by Bain & Company found that when customers come back in, they spend roughly 67% more than first-time customers. So it’s worth trying to get repeat customers. A great (and simple) way to do this is with a rewards program. 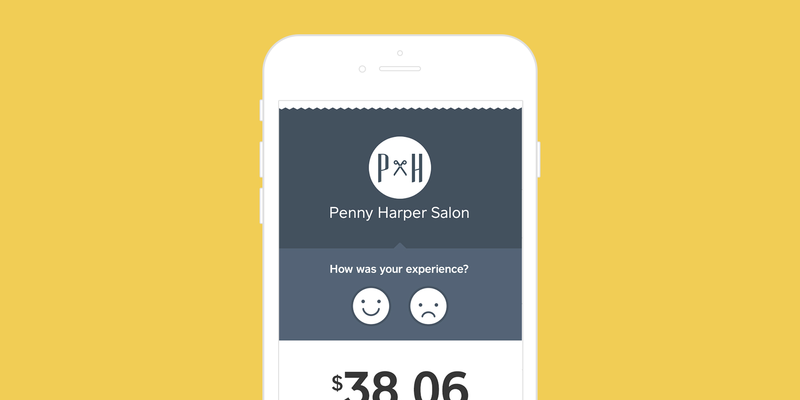 Square offers Square Loyalty, a punch-card program that automatically tracks and rewards customers based on how many times they’ve come in and bought something (like a hair product, perhaps). You can select how often you want to reward your customers (by the number of punches) and how much they get as a reward, either as a percentage or dollar amount off. You can also choose how much your customers need to spend to get a punch. Here are some additional appointment scheduling tips that can help elevate your business and increase efficiency.